Wind energy in Colorado (Xcel Energy photo). U.S. carbon emissions spiked by 3.4 percent in 2018, due in large part to the booming economy and increases in transportation and manufacturing. That’s bad news for scientists warning of the dire economic impacts from global warming and for the nation’s ski industry, which is struggling with how to respond to its own impending demise, even as Colorado voters are showing the way. Energy and environmental issues ranked as the top concern for independent voters in Colorado’s recent governor’s race that saw Democrat and renewable-energy champion Jared Polis win in a landslide, according to a poll conducted shortly after the midterm election. 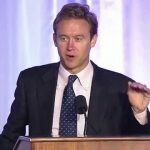 Andrew Baumann of the national public affairs and Democratic polling firm Global Strategy Group said he was not surprised that approximately 800 Colorado voters surveyed right after the Nov. 6 election focused in so intensely on energy and environmental issues. “The surprising thing to me about it is it was a part of the campaign and Polis certainly talked about it some and obviously got attacked on energy and the environment, which just shows you how much those attacks didn’t work … but it certainly wasn’t a centerpiece of the [Polis] effort,” Baumann told RockyMountainPost.com. Democrats in the same poll (pdf) named health care as their top issue, with energy and environment second, and Republicans chose jobs and the economy as their top issue. Baumann said his read on the polling indicates Polis has a clear mandate amongst both his Democratic base and unaffiliated voters – the largest bloc in the state – to move aggressively on carbon emissions. That growing urgency on environmental issues in polling over the last several years, Baumann said, stems from several factors. The pro-fossil-fuel, anti-regulatory agenda coming out of Trump’s White House is causing a growing sense of unease in Colorado. “There’s been a renewed sense among voters that if the federal government isn’t going to do something about it, then the state government has to act to protect the protections we already have and also to go beyond that and take the kind of steps like Jared Polis is suggesting with 100 percent renewable energy [by 2040] that voters very clearly support,” Baumann added. During the Democratic primary campaign last summer, Baumann’s company did some work for former Democratic state Sen. Mike Johnston, a Vail native whose late father Paul was once the mayor of Vail. Former state Sen. Mike Johnston, D-Denver (youtube photo). Mike Johnston wound up third in the primary behind Polis and former Colorado Treasurer Cary Kennedy, whom Polis recently named his senior advisor on fiscal policy. Now Johnston is seeking the Democratic nomination to run against Republican Sen. Cory Gardner in 2020, calling climate change the most pressing issue of our time. Baumann said he knew back then that the environment would be a key issue for both Dems and independents. Clearly, any candidate for any party looking to win in Colorado in the coming years needs to take the issues of climate change, environmental impacts and renewable energy seriously. For a deeper dive into what that means from a policy standpoint, here’s a re-post from Rocky Mountain Post’s cover story on energy issues for Colorado Politics. Click here to read the version that ran on that site. If the recent executive order by Gov. 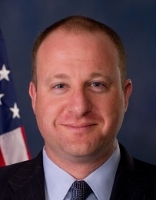 Jared Polis pushing zero-emission electric vehicles was the low-hanging fruit of his administration’s ambitious agenda to achieve 100-percent renewable power by 2040, his next step – a possible carbon-emissions limit – might just be forbidden fruit, according to some GOP lawmakers and even members of the conservation community. But others see a carbon-cap law as the next logical step to combat climate change in Colorado. Republic state Sen. Bob Rankin, who recently took over the fossil-fuel-rich Northwest Colorado seat previously held by Randy Baumgardner, warns against the economic pitfalls of moving too fast to phase out coal and natural gas in a state where the U.S. Energy Information Administration reports fossil fuels make up a combined 78.2 percent of the electricity mix. Wind and solar currently only make up a combined 18.28 percent of the state’s electricity. “I believe that an overly aggressive, politically motivated and unrealistic plan for the complete phaseout of fossil fuels will be devastating to many of my constituents,” said Carbondale’s Rankin, who now represents coal and gas counties such as Moffat, Routt, Garfield and Rio Blanco. “Is it possible to develop a convincing plan, with cost and time parameters, so that our hard-working miners and oil and gas industry folks could continue to have their own plans for security for their families? 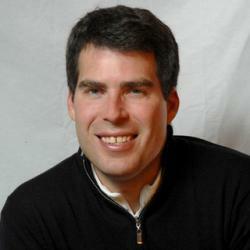 Democratic state Rep. Chris Hansen, whose district encompasses East Denver, referenced a recently released analysis by Vibrant Clean Energy called the “Colorado Coal Retirement Study” that concludes the state could save more than $2.5 billion through 2040 by retiring its fleet of coal-fired power plants, while simultaneously increasing electric sector jobs and eliminating 510 metric tons of emissions. Hansen has already submitted a bill called the Colorado Energy Impact Assistance Act (HB19-1037) that would offer job training and financial support to communities impacted by the shutdown of local coal-fired power plants. The bill passed the Democrat-controlled House last year but couldn’t get out of the Republican-controlled Senate – a chamber now controlled by Dems. The bill would create a ratepayer-backed bonding mechanism that would allow publicly owned utilities to shut down obsolete power plants without exposing those ratepayers to what is essentially a 7-percent mortgage on those so-called “stranded assets.” Refinancing that liability at a sub 3-percent AAA bond rate would save ratepayers money, and a portion of that money would then be dedicated to job training and alleviating the shock to communities that lose one of their biggest sources of local property taxes, Hansen said. Jim Alexee, director of the Rocky Mountain Chapter of the Sierra Club, lauds Hansen’s approach and supports swift passage of the bill. Alexee initially did not think a carbon-cap bill was the way to go in the Colorado Legislature, but later said that the national Sierra Club does support such legislation. He anticipates Polis may head in a different direction now that he’s addressed the electric-vehicle piece of his agenda. Democratic state Rep. Dylan Roberts, an Eagle resident whose two-county district includes coal mining and power generation in Routt County, says that in the next few weeks he’s working with other lawmakers on climate-change legislation, but he declined to offer specifics. Roberts feels the Polis order to facilitate previous Gov. John Hickenlooper’s goal of nearly 1 million electric vehicles on Colorado’s roads by 2030 will boost the move to 100-percent renewable power. To some degree that’s a sentiment shared by Westminster-based Tri-State Generation and Transmission Association, a member-owned utility that serves 18 of Colorado’s 22 rural electric coops and 43 coops overall in Colorado, Nebraska, Wyoming and New Mexico. Tri-State, which recently announced a new 100-megawatt solar project and currently generates nearly 30 percent of its power from renewables, has been somewhat overshadowed in recent weeks by big announcements and decisions from publicly-owned utilities such as Xcel Energy and the Platte River Power Authority (PRPA). 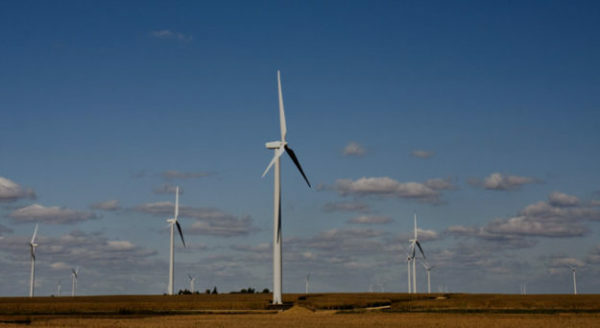 Minnesota-based Xcel, an eight-state utility and Colorado’s largest power supplier, last month announced a target of 100-percent carbon-free by 2050. And the PRPA board of directors subsequently set that same goal but 20 years earlier in 2030, supporting the zero-carbon goals of four of the cities it serves: Fort Collins, Loveland, Longmont and Estes Park. Combined, Xcel (54 percent) and Platte River Power Authority (5.6 percent) account for close to 60 percent of Colorado’s retail electricity sales and serve about 58 percent of the state’s customers. So the majority of the state’s power providers are on a path to carbon-free electricity. Ben Fowke, president and CEO of Xcel Energy, on a conference call with reporters last month to announce the company’s 100-percent by 2050 goal, notably did not embrace the 100-percent renewables mantra of the Polis administration, which may be why some lawmakers and conservation groups are now looking to codify “carbon-free” in Colorado law. “There is a difference,” Fowke said. “I like to listen to science, and scientists today will tell you that on a big grid, not an individual community or home or business, 65, 70 percent renewables is probably the most we can do. Now, can technology, battery storage and other things develop that aren’t around today? Of course they can, and 2050’s a long way away. Fowke said Xcel can to get 80 percent carbon-free with existing technology but that strides will need to be made in other energy arenas in order to get to 100 percent carbon-free, including carbon capture, hydrogen, nuclear and better battery storage. Xcel provides nuclear power in Minnesota that Fowke doesn’t want to see shut down prematurely. He noted that while nuclear is 20 percent of the nation’s power mix, it comprises 65 percent of the carbon-free energy. Colorado no longer generates any nuclear power, and its overall aridness makes it unlikely to get back into the game after the shuttering of the St. Vrain nuclear facility in the 1980s. So wind and solar – two fairly inconsistent power sources – remain the most viable path toward reduced carbon emissions. Hydroelectric, which accounts for just over 3.5 percent of the state’s power mix, does not count as a renewable source under the state’s own guidelines. Since 2004, when Colorado became the first state to pass a voter-led renewable energy standard, the amount of renewables, especially wind, has steadily climbed. When one-term Colorado Gov. Bill Ritter took office in 2006 and began enacting his New Energy Economy, more than 70 percent of the state’s power came from coal, most of it mined in Wyoming. Ritter put in place policies that, according to U.S. EIA, saw electricity from renewable sources more than double between 2010 and 2016, to just under 20 percent. And coal use has dropped nearly 20 percent. Much of that decline in coal benefited the natural gas industry, which has climbed to nearly 24 percent of the state’s power mix. While it burns cleaner than coal in terms of overall carbon emissions (up to 50 percent cleaner by some estimates), natural gas is still a fossil fuel, with front-end methane emissions that can be up to 20 times more potent as a greenhouse gas than carbon dioxide. Now, in the next 21 years, Polis wants to grow the share of renewables from 20 percent to 100 percent – a big leap in just a couple decades. That has some in the power sector worried. Boughey added transmission from renewable sources in remote areas of the state to where people live on the Front Range or in hard-to-reach rural areas will a big factor in how successful Polis’s agenda will be, so he’s eager to see how the administration plans to streamline the often decade-long process of approving and building new transmission lines. One of Tri-State’s member coops, the Delta-Montrose Electric Association on the state’s Western Slope, made moves last month to severe ties with the power provider, citing higher rates and a lack of urgency by Tri-State in adding more renewable power supplies. Other rural coops on the Western Slope, despite relatively tiny membership numbers, have been exercising outsided influence in the push to add renewables. Holy Cross Energy in Glenwood Springs, with 60,000 members stretching from Vail to Aspen, recently inked a deal with Denver-based Guzman Energy to develop a 100-megawatt wind farm and offload its share of the Comanche 3 coal-fired power plant in Pueblo. Guzman is also working with Delta-Montrose. Holy Cross President and CEO Bryan Hannegan says the deal will allow the coop to achieve its 70 percent renewable by 2030 goal – announced just last fall – nine years earlier in 2021. Holy Cross, which is not a Tri-State member, was singled out for its progressive policies by Xcel Energy in December. “We like to think that we started the ball rolling [last summer with seventy70thirty], Xcel gave it a huge shove, Platte River gave it another big shove, and I think the governor has a great opportunity to give it an even bigger shove with supportive state policies and programs that will make it easier to accelerate this transition,” Hannegan said. Whether those policies include supporting a bill to limit carbon emissions remains to be seen. A spokeswoman for Gov. Polis did not respond to a request for comment on the possibility of carbon-cap legislation this session. And some experts advise caution in legislating too quickly. University of Colorado professor Paul Chinowsky, who co-authored a chapter on transportation infrastructure for the rather dire Fourth National Climate Assessment that made international waves when it was released in November, urges a more measured approach. Then Chinowsky suggests a realistic timeline with meaningful commitments and action items.